Ace Hoffman's Nuclear Failures Reports: Stop The Nuclear Waste Con Job! Attend NRC Public Hearing tomorrow (Monday, 11/18/2013) in Carlsbad, California! Stop The Nuclear Waste Con Job! Attend NRC Public Hearing tomorrow (Monday, 11/18/2013) in Carlsbad, California! Tomorrow (Monday, November 18th, 2013) the Nuclear Regulatory Commission is meeting in Carlsbad, California, one of about 15 meetings with the public in which the public is not allowed to show videos or even slide shows, and will have their time cut off even if only a few people show up, just because the NRC doesn't like people to have the time to complete a complicated thought. Unfortunately, nuclear waste is a very complicated problem which needs a lot of thought. Please come to Carlsbad tomorrow evening to talk about getting nuclear waste out of the area. We no longer have an operating nuclear power plant nearby, but nearly every pound of deadly waste it ever produced sits dangerously unprotected and dangerously close to nearly 9 million people within 50 miles, and about 20 million more just beyond the 50 mile mark in Tijuana, Los Angeles and other nearby communities. San Onofre produced about 4 million pounds of high level nuclear waste over the 40+ years of operation of the three reactors, and unless the citizens demand it be removed -- it will just sit there for hundreds, and perhaps even thousands of years, until a terrorist, airplane, tsunami, earthquake, or rust and embrittlement damage it and cause a release of its deadly contents. The waste is much more deadly now than ever, and needs proper long-term arrangements NOW -- NOT any "temporary" solution which involves leaving the waste sitting on our coast for up to 100 years, only to be repackaged (somehow, at great danger to the workers and community) and left to sit for another century! San Onofre is closed but the danger still remains. This is our best chance to do something about it. This hearing was postponed due to the government shutdown and is part of a federally-mandated requirement that the NRC pay attention to the community voices on the issue of "Waste Confidence" -- but there is NOT cause for ANY confidence in the federal nuclear waste management procedures! Please come out to Carlsbad tomorrow. Enjoy our fine restaurants at all price levels (see list below) and then give the NRC a piece of your mind. Stop the Nuclear Waste Con! November 14, 2013 (Carlsbad, CA) The NRC Draft Waste Confidence Generic Environmental Impact Statement is unacceptable. Much of it appears to be based on unsubstantiated hope. WHAT: U.S. Nuclear Regulatory Commission Public Meeting to receive comments on the Draft Waste Confidence Generic Environmental Impact Statement Report and Proposed Rule. No short-term storage or transportation solutions for high burnup fuel waste. The NRC and DOE are concerned with the instability of high burnup nuclear waste in both storage and transport, yet the NRC continues approving this dangerous fuel for reactors. The NRC won't approve high burnup dry cask storage over 20 years because they have NO CONFIDENCE it can be stored longer without releasing radiation into the environment, even though it must be stored for thousands of years. The NRC won't approve transportation of high burnup used fuel because they have NO CONFIDENCE it can be transported without releasing radiation into the environment. San Onofre's high burnup used fuel is so hot and radioactive, it requires up to a MINIMUM 20 YEARS cooling in the crowded spent fuel pools, instead of the minimum 5 years for lower burnup fuel. California didn't "sign up" for permanent (100+ years) nuclear waste dumps. California nuclear waste sits in the world's earthquake "ring of fire", the same as Fukushima, the most active and dangerous earthquake zone in the world. California's nuclear waste is surrounded by known active earthquake faults and the USGS says no one has ever predicted a major earthquake. California's nuclear waste sits along an eroding coastline, in tsunami zones, and is exposed to a highly humid and corrosive coastal environment. NRC's NUREG/CR-7030 states atmospheric corrosion of sea salt can lead to stress corrosion cracking within 32 and 128 weeks in austenitic [corrosion resistant] stainless steel canisters. It would be impossible to evacuate the millions of people living near California's waste. Of the 34 million people in California, over 8.5 million reside within 50 miles of San Onofre. 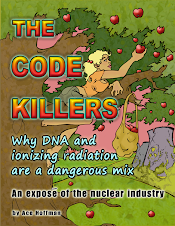 A radiological disaster impacts the nation's and world's security, economy and food supply. · California is the eight ranking economy in the world, virtually tied with Italy and the Russian Federation, and larger than Canada, Australia and Spain. · More than 40 percent of containerized imports enter the country through California ports, and nearly 30 percent of the country's exports depart through them. · California produces nearly half of the U.S. grown fruits, nuts and vegetables. California remained the number one state in cash farm receipts in 2011, with its $43.5 billion in revenue representing 11.6 percent of the U.S. total. U. S. consumers regularly purchase several crops produced solely in California. · San Onofre is located adjacent to the primary vehicle transportation artery between Los Angeles and San Diego (I-5), and one of the largest military installations (and targets) on the West Coast (Camp Pendleton). We oppose NRC's proposed rule that future licensing can be based on the assumption spent fuel can be safely stored above ground virtually forever. In the proposed NRC rule that accompanies the draft GEIS, the NRC proposes to incorporate into every reactor license the Draft GEIS' conclusion that spent fuel can be safely stored above ground indefinitely. This proposal would in effect forbid any further public discussion, in individual reactor licensing actions, of the serious question of whether generation of additional spent fuel is justifiable in light of the absence of any means of safe disposal. The Coalition to Decommission San Onofre includes Citizens Oversight, Inc., Peace Resource Center of San Diego, San Clemente Green, SanOnofreSafety.org, and Women Occupy San Diego. For more information on nuclear waste, go to SanOnofreSafety.org. French and worth every penny -- I love it when someone takes me! Reservations recommended. Virtually all Mexican restaurants in Carlsbad are terrific and cheap! My wife of 36 years, Sharon, has completed her second of six post-mastectomy chemotherapy treatments at UCSD. Treatments should be completed by mid-February, to be followed by radiation therapy for an inoperable cancerous intermammary lymph node.